I'm trying to calculate average rainfall value from a number of points using Inverse Weighted Distance tool in ArcGIS 9.3. My problem is that: each point has it own time series, therefore the interpolation process should be able to carry out for all years (kind of iteration so to speak). Could anybody show me how to do that? 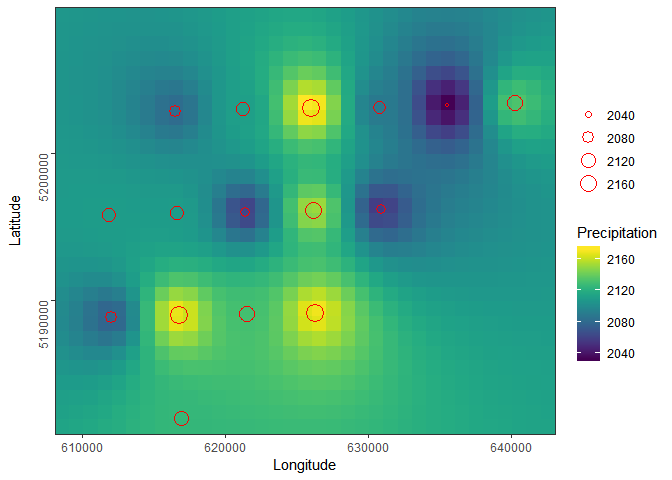 Edit 1: I finally did this by using C++ code which required ArcGIS mask grid, data files & locations of all the points. Use your time field as your "group by" variable. By doing this, the model will iterate once for each time in your feature class. Then attach your preferred interpolation tool (spline, IDW, whatever) to the feature output from the iterator. Run the model, go on vacation for a few weeks, and when you come back, you will have as many grids as you have time points in the feature class. Note that this solution assumes you have discrete time sampling points with a date or numeric field that indicates a single time point for each record in your feature set. If you are using the "begin time" and "end time" format, it might not be so straight forward. It seems that this thread is answered by the IDW tool, but if you were to request and input of the start year and then iterate through the year fields using an inline variable in model builder then this would be a more elegant way to handle the modelling. PS: I agree with @AndyW that if you solved it using the IDW, post as an answer yourself and then "mark with the tick"
Add a spatial reference system (SRS) or coordinate reference system (CRS). #>   .. .. ..$ : chr [1:2] "long" "lat"
#>   .. .. ..@ projargs: chr "+proj=longlat +ellps=WGS84 +datum=WGS84 +towgs84=0,0,0"
utm10n <- "+proj=utm +zone=10 ellps=WGS84"
Hypothetical annual precipitation data generated using Poisson distribution. 5205871.0782451), .Dim = c(2L, 2L), .Dimnames = list(c("x", "y"
proj4string(grd) <- "+proj=utm +zone=10 ellps=WGS84 +ellps=WGS84"
#>  1    608566. 5181396. 2114. NA    608566. #>  2    609566. 5181396. 2115. NA    609566. #>  3    610566. 5181396. 2116. NA    610566. #>  4    611566. 5181396. 2117. NA    611566. #>  5    612566. 5181396. 2119. NA    612566. #>  6    613566. 5181396. 2121. NA    613566. #>  7    614566. 5181396. 2123. NA    614566. #>  8    615566. 5181396. 2124. NA    615566. #>  9    616566. 5181396. 2125. NA    616566. #> 10    617566. 5181396. 2125. NA    617566. Not the answer you're looking for? Browse other questions tagged arcgis-desktop r interpolation spatial-statistics time-series or ask your own question. Interpolation and using time manager in ArcMap?